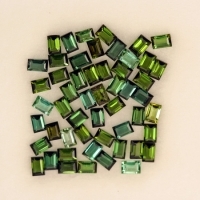 Tourmaline is a crystal silicate mineral compounded with elements such as aluminium, iron, magnesium, sodium, lithium, or potassium. 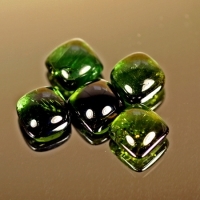 Tourmaline is classed as a semi-precious stone and the gem comes in a wide variety of colors. 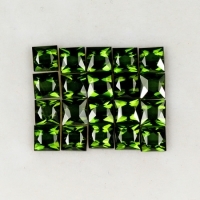 The name comes from the Sinhalese word "turamali" or "toramalli" meaning stone of many colors. 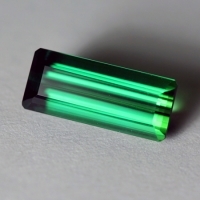 Tourmaline is a October Birthstone. 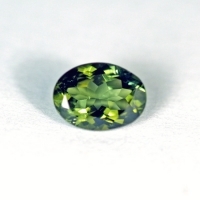 Fine grade natural gem tourmaline from Brazil. Fine grade natural gemstones from Brazil. Fine grade natural gemstone from Namibia. 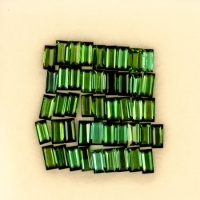 Top gem quality natural gem tourmaline from Nigeria. Color: Blue green, yellow green, forest green. 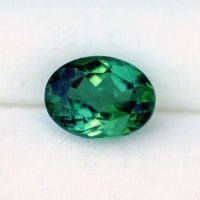 Fine grade natural mint tourmaline from Africa.